The main ingredients are simple. Look for large shrimps rather than small. It looks nicer and more flavorful. I like to use vine-ripe cherry tomatoes for their sweetness it adds to the sauce. You can use the shopped up plum tomatoes as well. 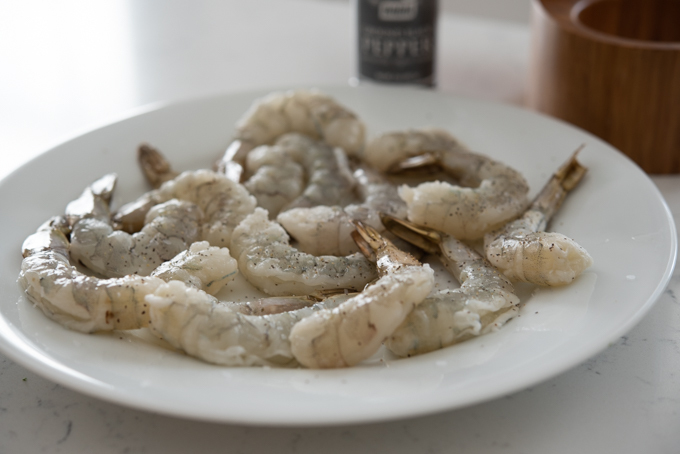 Season the shrimps with salt and pepper lightly. 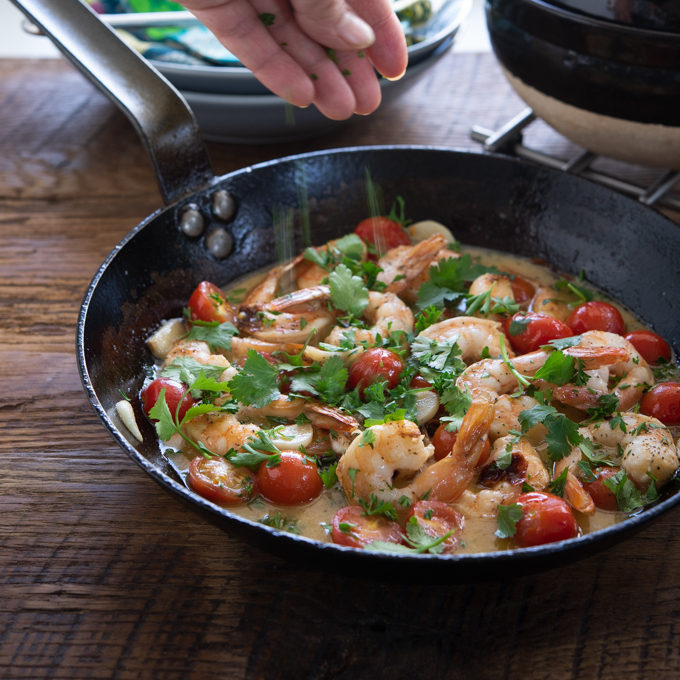 Sear the shrimp in hot olive oil until they just turn pink. You don’t need to cook completely at this stage. Transfer the shrimp into a platter. Heat a little more oil in a skillet and add the garlic and dried chili. Break off the chili with your hands. If you want it less spicy, you can remove some of the seeds. Saute them for 30 seconds or until fragrant. Add the clam juice and simmer over medium low heat for 5 minutes or until the juice reduces in half. 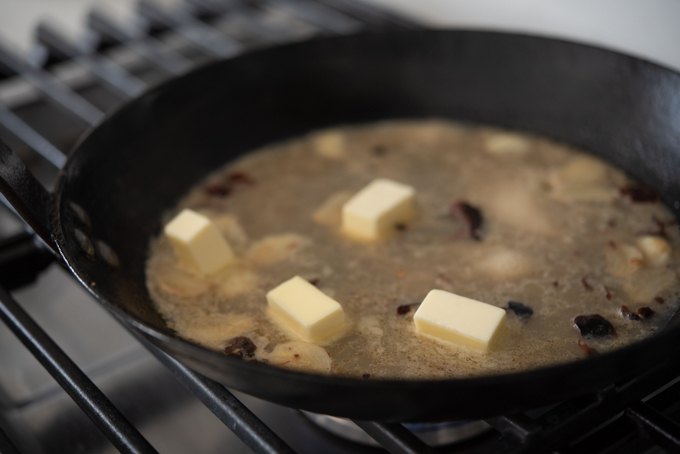 Add the small cubes of butter to the sauce and let them melt. 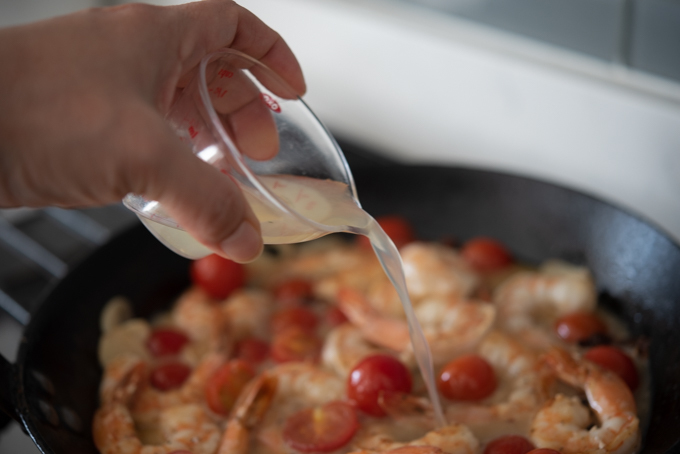 Add the shrimp and tomatoes and simmer for another 2 minutes until shrimps are fully cooked and the tomatoes are tender. Add the fresh squeezed lemon juice and stir. Season with salt and pepper, if needed. Lastly, add the fresh herbs like cilantro, parsley, or chives. The fresh herbs boost up the flavor of the sauce and makes the whole dish look very appetizing as well. Serve with Pasta or Rice? 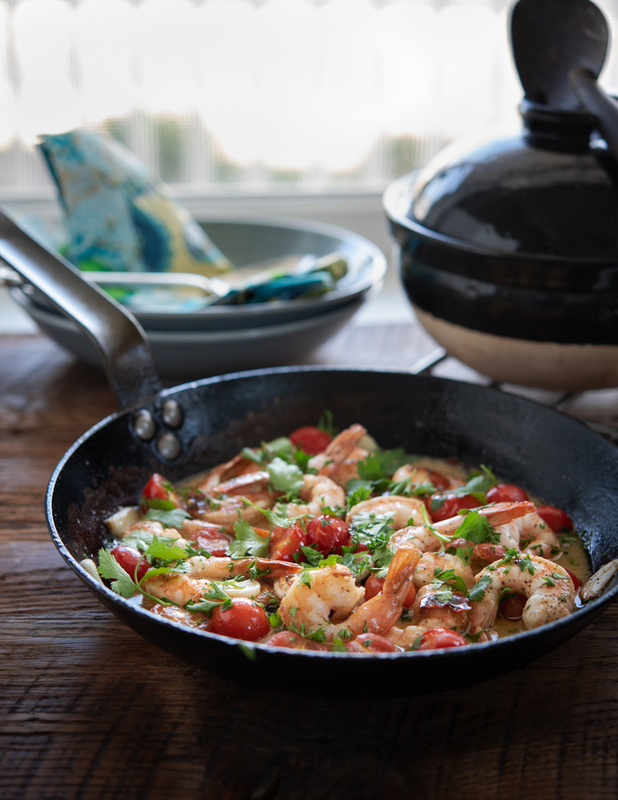 You can serve this shrimp and tomatoes over pasta but I like mine with Jasmin rice to soak up all the good flavor. 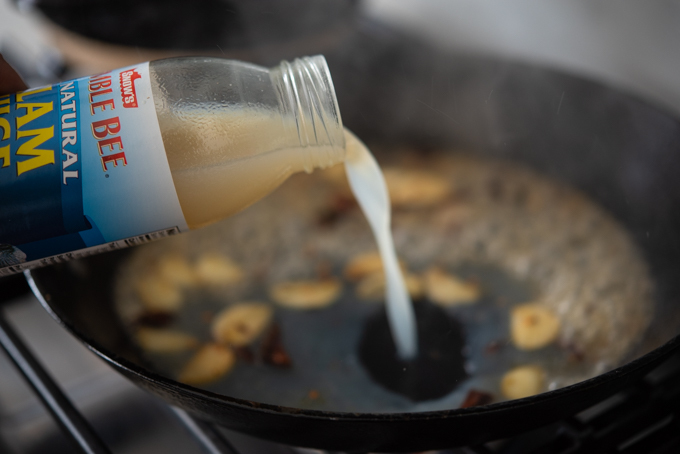 Don’t forget to drizzle the yummy lemon butter sauce. 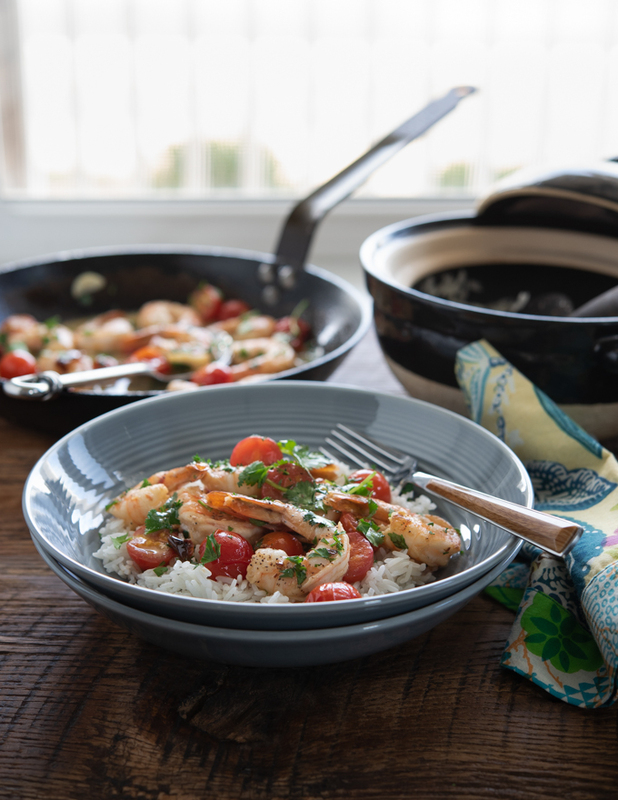 Anyone who enjoys shrimp will love this dish. 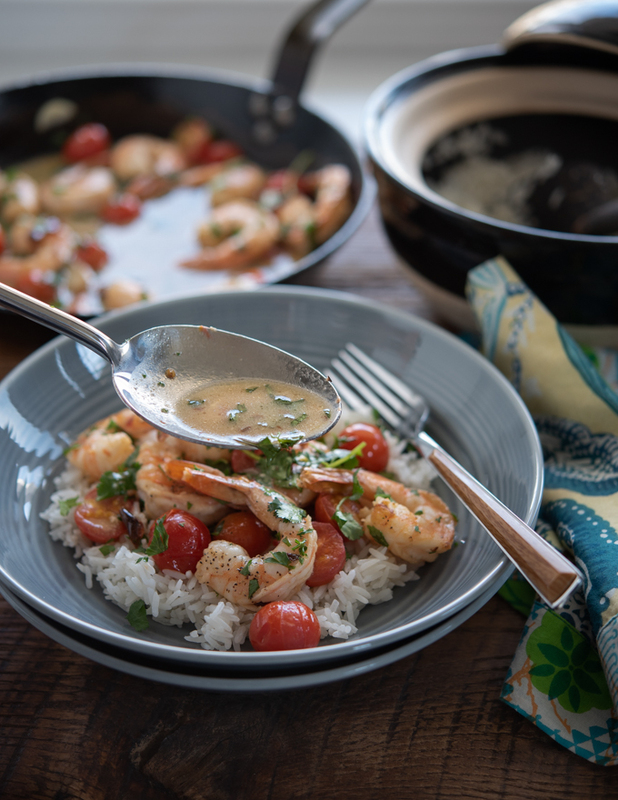 In fact, anyone who doesn’t love shrimp might change their mind of shrimps. Season shrimp with salt and pepper lightly. 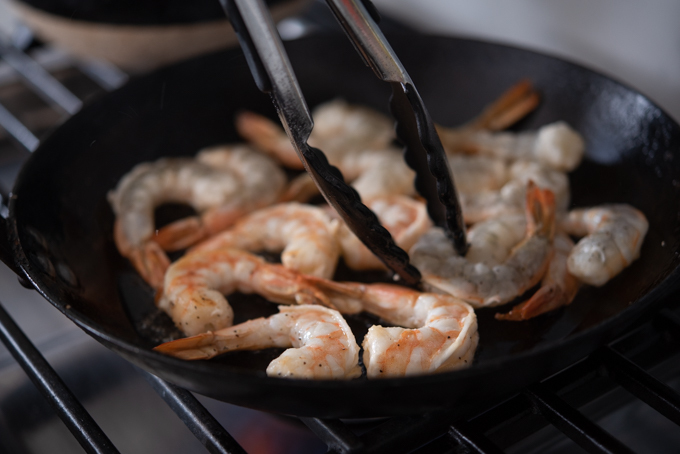 Heat 1 tablespoon of olive oil in a skillet over medium-high, add the shrimp and sear until they turn pink. Transfer the shrimp to a platter and set aside. 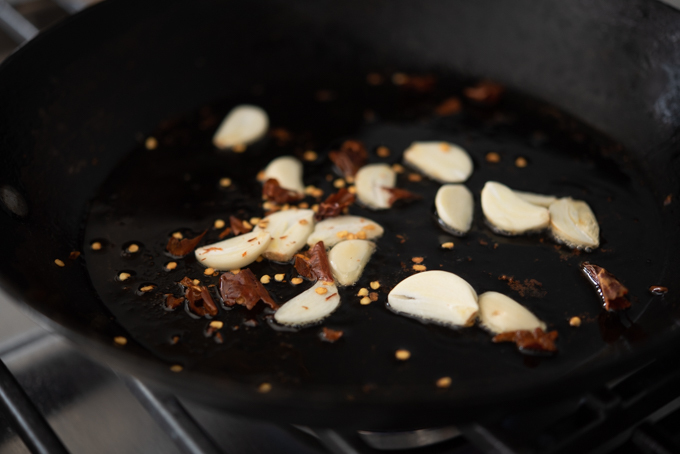 Heat the remaining olive oil in a skillet, add the garlic and dried chili; saute for 30 seconds. 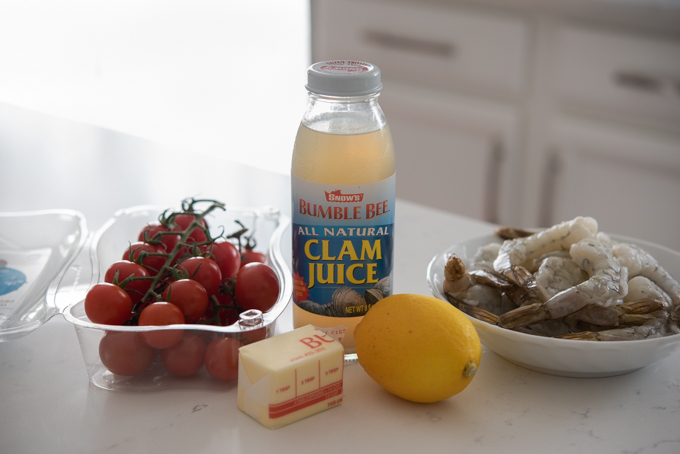 Add the clam juice and let it reduce over medium-low heat for 5 minutes or until it reduces in half. Add the butter to the sauce and melt. 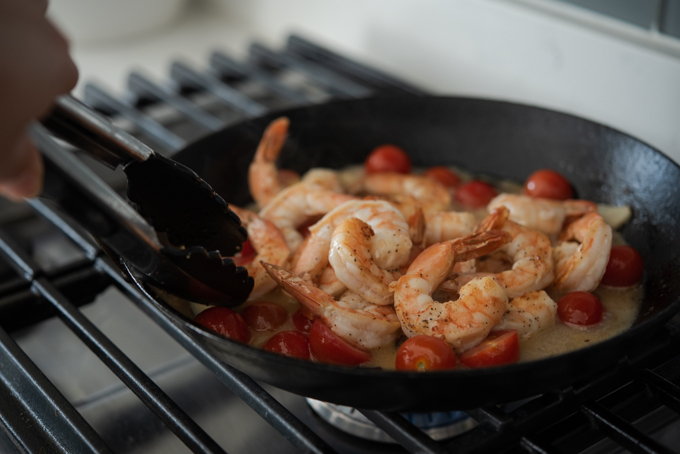 Add the shrimp and tomatoes to the skillet and let the whole thing simmer for 2 minutes. Add the lemon juice and toss well. Taste and season with salt and pepper according to your taste. Remove the skillet from the heat and sprinkle the fresh herbs; toss and serve immediately over rice or pasta. Great looking dish! 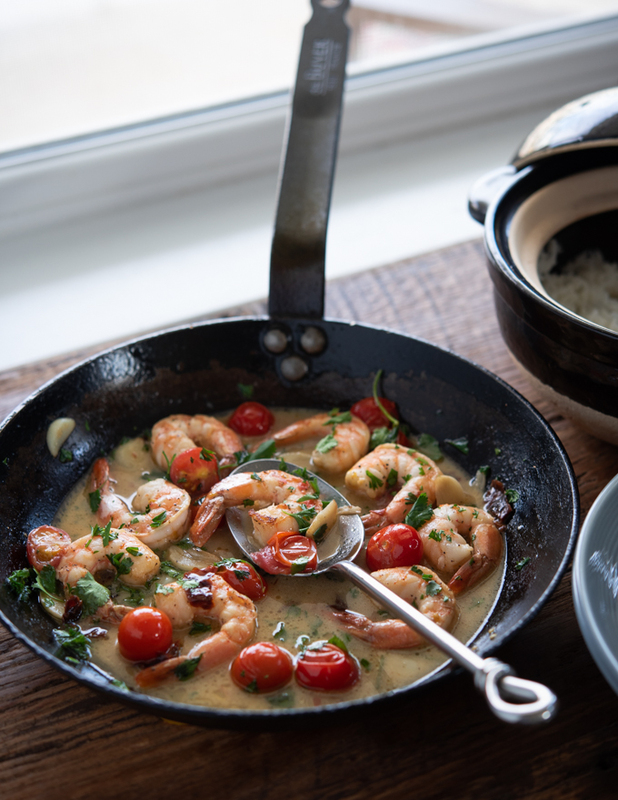 Love cooking shrimp -- they cook so quickly, take so well to simple flavorings like this. Good stuff -- thanks. I adore shrimp! This looks so flavourful with lemon butter sauce.